Are you prepared to witness the nastiest big toe injury in the history of ever? 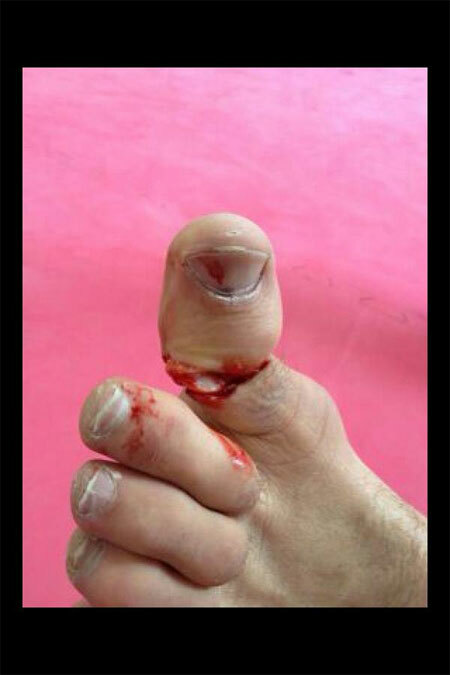 On Monday, UFC light heavyweight Anthony Perosh (Pictured) suffered one of the most disgusting broken toes known to mankind. Australian journalist Adam Ireland was on hand at the training session to capture the horrific sight. Because as we all know in this day and age, pictures or it didn’t happen. If seeing is believing, scroll to the bottom of the page to peep Perosh’s mangled digit. If you’re not interested in looking (then why did you click on this article? ), we were courteous enough to put the image at the very end so you don’t accidentally see it and throw up in your mouth like my wife almost did. FX will broadcast the main card live in North America on the 14th due to the time zone differences. Perosh was slated to battle Joey Beltran. Clearly, he now has more important matters to tend to.